Dark Sky is an English Blue color pattern. 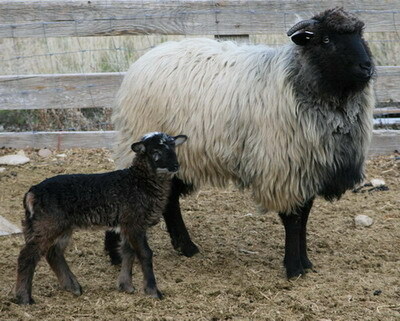 As lambs blues are born black but the charcoal gray starts to show in the undercoat at 8-10 months. As yet Sky has not passed this color pattern on to her lambs. Maybe this year!